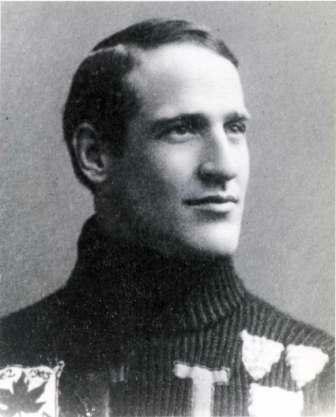 Septimus (Seppi) DuMoulin was an exceptional kicking backfielder who played on six national championship teams. When he was transferred by his employer to Western Canada, he became a leading figure in the development of the Western game. Seppi DuMoulin was instrumental in the formation of the Saskatchewan Football League and the Western Canada Rugby Football Union. He was the only man in Canada to hold chief offices in the three major football unions. A former president of the Hamilton Tigers, he was the only person to ever receive a lifetime membership. Septimus DuMoulin was honoured at the 1954 Grey Cup dinner for outstanding service to Canadian football.